One of the hottest trends today is vaping. 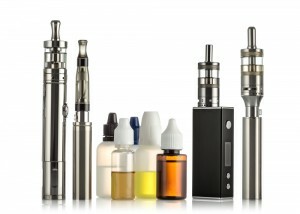 For the e-cigarette user there are many different types of products and flavors available. The heart of the e-cigarette is the cartridge. This holds the e-liquid and the flavor of the e-cigarette. There are a few basic ingredients that e-liquids are made of. These ingredients are a base, the flavor, and if included any nicotine. The base of an e-liquid is usually made up of both propylene glycol (PG) and vegetable glycerin (VG). Propylene glycol is a liquid that can be found as a flavor carrier in certain foods, an ingredient in food coloring, and an additive to medicines. Vegetable glycerin is a thick, vegetable-based liquid. Vegetable glycerin has an extremely thick nature and is too thick to be used as a base alone. Vegetable glycerin is often mixed with propylene glycol to create a smooth base. The nicotine levels in an e-cigarettes can range from 0mg up to 24mg, depending on the amount in the e-liquid. 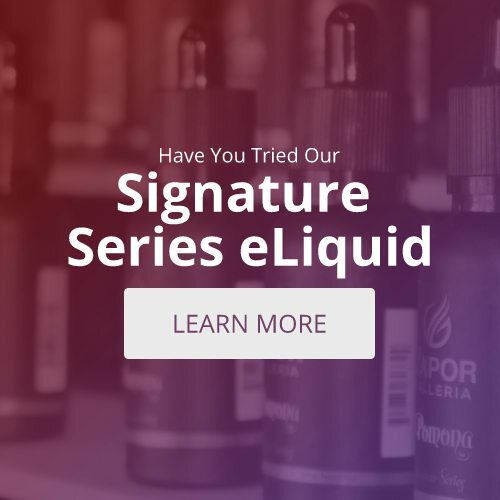 Flavors are created in an e-liquid by adding food grade natural, or artificial flavorings. Different brands with the same flavor can have a different taste due to manufacturing techniques. When buying new flavors they should be purchased in small batches to ensure you don’t end up with large quantities you may not like. Flavors of e-liquids can range from fruit-flavored such as strawberry to savory-flavored such as double fudge brownies. For more traditional flavors there are tobacco or menthol. In place of a cup of coffee try a caffeinated e-cigarette. According to Vape Magazine the three main ingredients in addition to the base in a caffeinated e-cigarette are ginseng, taurine, and guarana. In general e-cigarette have about two milligrams of caffeine in each. The levels of caffeine can vary depending on the type of e-cigarettes. E-liquids should be stored in a cool, dry place away from direct sunlight. Suppliers often sell their e-liquids in colored bottles to protect the contents. The expiration and the manufacture date on a bottle can help ensure the content is fresh and new. Your e-liquid may need to be refilled when you notice the vapor from your e-cigarette is less than usual. Changing the whole cartridge when you change flavors is a good practice to avoid any carry-over tastes from the prior flavor. There are many ready-to-use e-liquids available online and in vape shops. Still some vape users prefer to make their own. For best results start with quality products. Consider training from an expert before making your e-liquid on your own. The two main base ingredients propylene glycol and vegetable glycerin are not considered toxic. The nicotine can be if used improperly. When adding nicotine to your e-liquid use caution. In e-liquids there are a wide variety of new flavors available. To help you with all the choices come visit our Tyler Vape Shop. Our knowledgeable staff will be able to help you go through the variety of flavors to find the ones that best suit your tastes and needs.